Looks like Tuesdays will no longer be the drop date for new album releases. A recent announcement made by the International Federation of the Phonographic Industry (IFIP) claims that the release date for new albums will be Friday, and that this will take place this summer. Citing a trend made by recording artists dropping album releases on Friday (i.e. Beyonce), careful studies and conversations with Aussie piracy, the international music industry group believes Friday will be better off for music. For generations, Tuesday has been the day of salvation for new music. It’s allowed time for data to come in and has been considered the start of a new business week, especially for industry reporters like Billboard. But those rules will have to change. But in recent months, due to the less-governed powers of digital markets, album releases by D’Angelo and Drake and partial albums by Madonna have made it easier for global markets to make the industry standard change. The news on the shake-up didn’t come without a bit of opposition or frustration. Most agreed that a global release date was important to set (currently in other regions like the UK, Monday has been noted as its release date), but felt Friday was not the right choice. “The only justification for a Friday release date would be if it resulted in a net increase in sales,” says Entertainment Retailers Association‘s Kim Bayley. 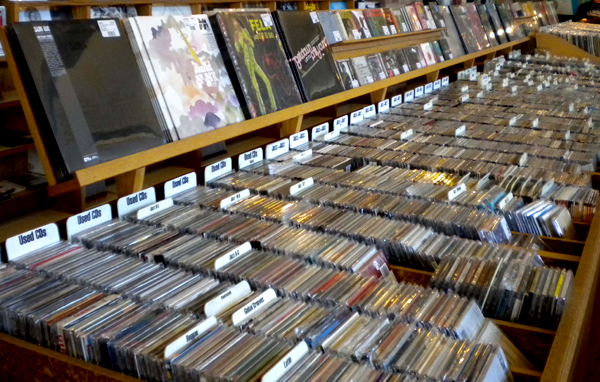 The Department of Record Stores, representing the voice of independent record stores in the U.S. and Canada, feel the transition to Friday will save monies for the major labels and for small operators in the business. So there you have it: Friday it is. Are you happy about the new change? Do you think it will help or hurt artists and the music industry?